Founded more than 150 years ago by old shepherding families and orange farmers in the toe of southern Italy, the Calabrian Mafia is one of the richest and most ruthless organized crime syndicates in the world. Italian prosecutors say it runs 70% of the cocaine in Europe. It manages billion-dollar extortion rackets. It plunders the Italian state and the European Union. It brokers illegal arms deals to criminals, rebels and terrorists around the world, including ISIS, and has franchises from America to Australia, and from Cairo to Cape Town. The Calabrians make so much money – an estimated $50-100 billion a year, equivalent to 3.5% of Italian GDP – that hiding it requires industrial-scale laundering. Those efforts ensure the Calabrians are in all our lives. We live in their buildings, work in their companies, shop in their stores, eat in their restaurants and elect political parties they fund. Most incredible of all: few people have ever heard of them. The ’Ndrangheta – an ancient Calabrese word, pronounced un-drung-get-a, meaning loyalty and courage – is a secret even to many Italians. Only in the last few years has the Italian state understood its scale. The ’Ndrangheta’s power, as with all organised crime, depends upon silence – omertà – and violence. The ’Ndrangheta’s genius lies in how it hijacked the Italian family to enforce loyalty. The same 140 Calabrese families who founded the ’Ndrangheta in the 19th century make up most of its members today. You are either born in, or you marry in. Loyalty is absolute. Bloodshed is revered. You go to prison or your grave, and you kill your own father, brother, sister or mother, before you betray The Family. Underpinning this iron rule is violent chauvinism and a conviction among the men that women are chattels where property and honour converge. Girls are married off in arranged clan alliances as soon as they turn 13, and then largely confined to the home. Beatings are routine. A woman who is unfaithful – even to a dead husband – can expect her sons, brothers or father to kill her, before dissolving her body in acid to erase the family’s shame. Yet in 2009, when one abused ’Ndrangheta wife was murdered for turning state’s evidence, a state prosecutor named Alessandra Cerreti confronted a tantalising possibility: that the ’Ndrangheta’s murderous bigotry may be its great flaw, and her most devastating weapon. In pursuit of this belief, Alessandra persuaded two more Mafia wives to testify in return for a new future for themselves and their children. Their evidence brought down a billion-dollar crime family, precipitating a small avalanche of betrayals from other women that threatens the ’Ndrangheta’s entire global criminal empire. The stakes could not have been higher. Alessandra was fighting to save a nation. The Mafiosi were fighting for their existence. Their women were fighting for their lives. Not all would survive. 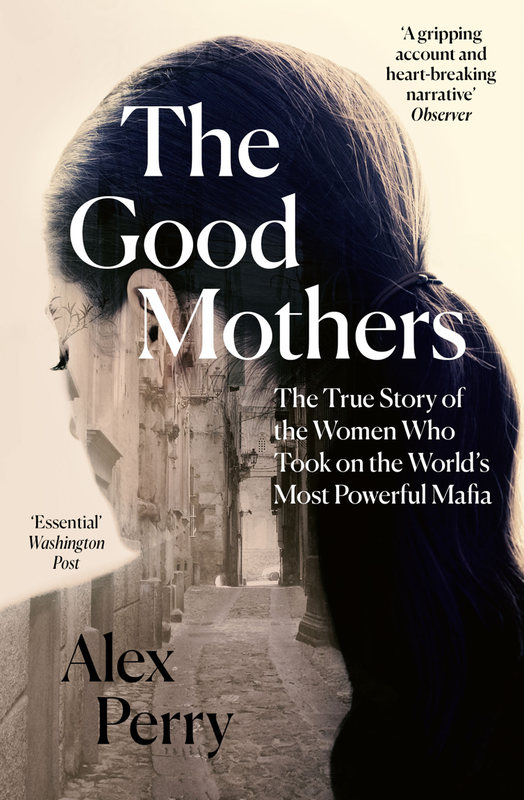 ‘With elegant forays into the harsh landscape of Calabria, and digressions on Godfather-inspired tourism, The Good Mothers is more than a mafia story, critiquing the allure of exploitative tales of power and destruction, and using empathy as a defense against any temptation towards the lurid.’ Crime Reads, Best Crime Books of 2018 (non-fiction).